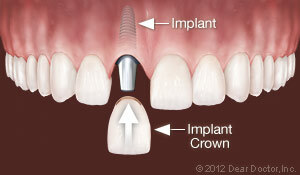 Of all the methods modern dentistry uses to replace missing teeth, dental implants are by far the best. 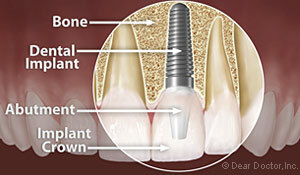 Implants help preserve tooth-supporting bone that naturally deteriorates when a tooth is lost. 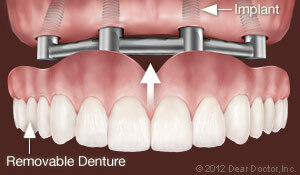 Bone loss is one of the major hidden consequences of losing teeth. 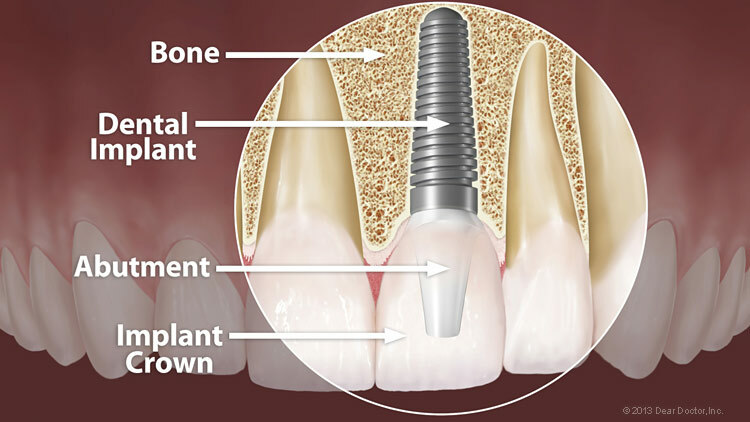 There are only two ways an implant can lose attachment to the bone and fail once it has successfully fused: poor oral hygiene or excessive biting forces. Poor oral hygiene and/or a lack of regular cleanings can lead to a destructive bacterial infection called peri-implantitis. Flossing and brushing your teeth on a daily basis, along with regular professional cleanings, can prevent this. Excessive biting forces can come from either a habit of clenching or grinding your teeth, or an insufficient number of implants to handle the forces generated by your bite. 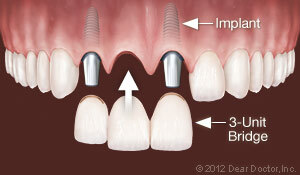 You should receive the correct number of implants so this does not happen. 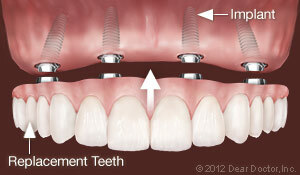 If you have a habit of grinding or clenching your teeth, a nightguard will be recommended to protect your implants. After all, implants are a long-term investment in your smile, your health, and your well-being, so it's important to protect your investment. Many people only go to the dentist when something is wrong. That is truly a shame, because they are missing out on so many preventive services that can save discomfort — and expense — down the road. Regular dental visits are essential to make sure oral health problems — from tooth decay to oral cancer — are detected and treated in a timely manner. Some individuals may need to see the dentist more often than others to stay on top of problems like plaque buildup and gum disease, but everyone should go at least once per year (though twice a year is recommended). Your regular dental visits will include a thorough oral exam to check the health of your teeth and gums, oral cancer screening, and a professional cleaning to remove stubborn deposits so your teeth look and feel great. Don't miss out on the many benefits dentistry offers you and your family!